As a leading Winnipeg paving stone and landscaping contractor, you’ve come to the right place for a relaxed and enjoyable experience. Every paving stone and landscaping project we complete, whether a brick sidewalk, stone patio or larger projects like paving stone driveways and retaining walls, all are backed by our rock solid 2 year warranty. For all landscaping Winnipeg projects, The Pavingstone Pros believe that every customer should have a pleasant experience with us from the first time we talk on the phone to the last handshake. This is our obligation to our clients - to be honest and have integrity when dealing with your landscaping project. All our landscaping is completed above the Interlocking Concrete Pavement Institute specifications. 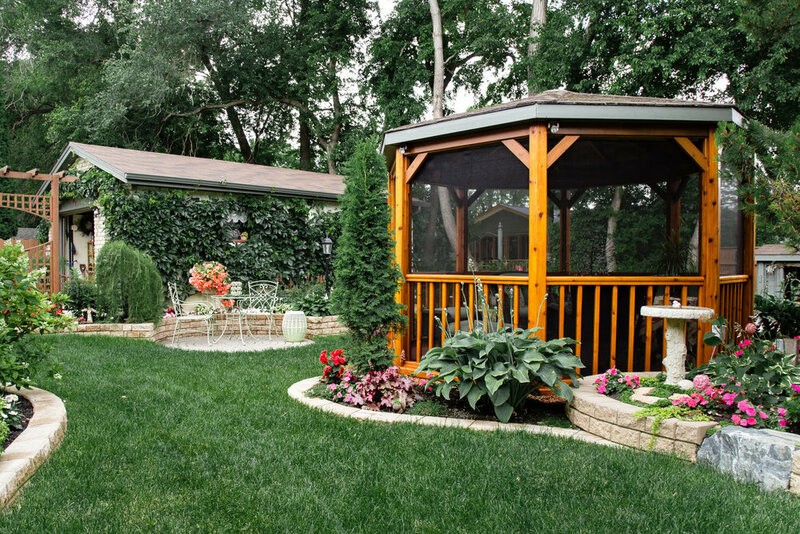 We know that home owners take pride in their home and so should their landscaping contractors, that is why we hold ourselves to the highest degree of quality in all our landscape projects. Adam and his crew did a very good job with what we asked him to do but what separates an ordinary business from a really good business is how they handle any issues after the fact. We had some settling with our patio that did not give us the proper drainage and they came out and took care of the problem on very short notice. Would recommend them and will most probably use them next year to do some deck work. on each side. It looks very good and even comes with a guarantee. Adam and his crew did an awesome laying down new patio stones in our backyard. Very pleased with the work done. Professional and respectful interactions from my first encounter to the end of the project. The work was completed in a timely fashion, quality work. The work site was cleaned up. I received a follow-up E-mail re: my satisfaction with the work. I love my deck!!!!!!!!! We were very happy with the work Pavingstone Pros did for us last year in our back yard so we got them to install a new sidewalk in the front of the house this year. Again, Adam and Darcy along with Rob did a great job. They paid attention to detail; they were accommodating and pleasant to work with, implementing our design properly and gave us helpful suggestions for improvements. We would certainly recommend Pavingstone Pros for your paving project. Adam and the crew did a fantastic job on our backyard patio! Looking forward to having our sidewalk and driveway done next!